Way back in OLTD 502, Randy Labonte advised us overwhelmed digital learning graduate students to "chose something and go with it. You can't do it all". He was referring to new learning opportunities and this suggestion has served me well over the course of this program. It is easy to get lost in the plethora of information made accessible to us through the web - especially as our professional network grows as a result of being part of a robust graduate program. It is my learning style to develop a big picture then dive deep into something more specific that engages my creative and curious self. What has really sparked my attention in OLTD 508: Mobile and Game-Based Learning is James Paul Gee's learning principles he has derived from video games. I learned that the educational importance of games lies not in the games themselves but in their underlying learning principles. Design is also important and just because it is a game does not make it a valuable learning tool. 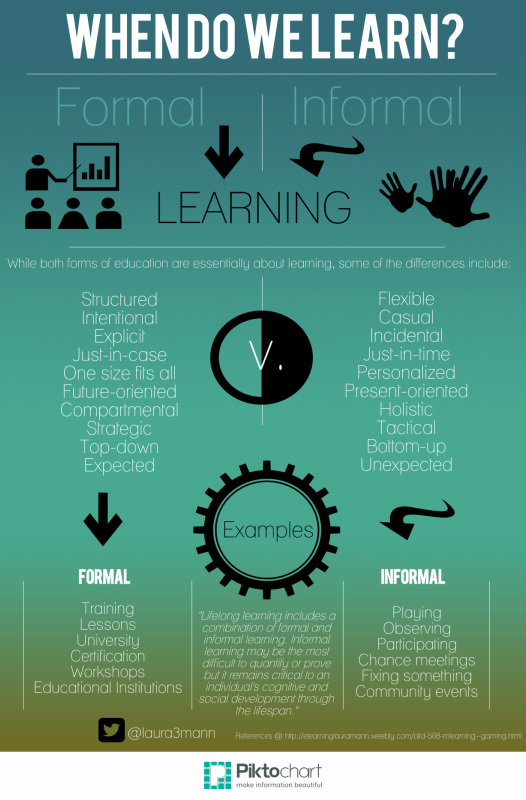 Games must be designed with learning principles and brain-based learning research in mind. I like how Gee identifies three overarching learning principles which serve as the umbrella to the 50+ principles he derives from his game research. These three umbrella learning principles now inform my thinking on teaching and learning: the empowered learners principle, the problem-solving learning principle and the deep learning principle. As I teach, plan and assess I consider these learning principles and feel they improve the integrity of my practice. For the first time in my life, besides a brief obsession with Super Mario Brothers in my early teens, I've experimented with playing video games. I embarked on this journey reluctantly and it wasn't until I found Games for Change that I really engaged and found myself enjoying online gaming. The games available through Games for Change have been designed to support learning with a variety of foci: economics, art, health, conflict, etc. Of the games I explored, most adhered to Sid Meier's premise that "a good game is a series of interesting choices". Most games (especially the popular and award-winning games) embody important learning principles such as James Gee's overarching ones: empowered learners, problem-solving and deep learning principles. Part of my video game journey included several hours trying to "get" Minecraft - and I don't get it. One of the biggest challenges I have with this game is not being able to see the big picture and really, zombies and creepers don't spark my imagination, even if they are out to kill me. This is not to say that I don't think it is a good game.The creative and survival mode offer differentiated goals and I've seen examples of outstanding creative projects built in Minecraft including an entire skytrain system. I explored not only the game of Minecraft but also my feelings associated with the game. One of my thoughts was: "Something must be wrong with me because I don't like/get this game." I spent time thinking about this and realized that this is a common theme when it comes to popular culture. Minecraft is all the rage right now. But what if you are a student who doesn't like or get Minecraft? How might this affect your self concept? My time with Minecraft reminded me of the importance of providing choice. As as teacher I ask myself what do I want my students to learn? My answer always includes critical and creative thinking, problem-solving skills and a deep understanding of important concepts. Student can show the development of these skills and understanding in a variety of ways. They can also practice these skills and understanding using a variety of tools. OLTD 508 has encouraged me to explore and offer games as one of these tools. As a parent I try to encourage my 8 year old to be reflective of his choices. When it comes to playing games on our family's mobile device I encourage him to balance his game playing with physical and a variety of mental activities. I also have conversations about the games he chooses so I can understand his thinking and also make connections to his virtual worlds. I had this conversation the morning after I listened to James Paul Gee's YouTube lecture on Principles of Gaming and my immediate thoughts were that my 8 year old son had just eloquently described the underlying learning principles of Cut the Rope - in 8 year old language. According to Gee, these principles include the active learning principle, the achievement principle, the psychosocial moratorium principle, the practice principle, the ongoing learning principle, the discovery principle and the transfer principle. My school has a fleet of 60 iPads for use by students and while this might be seen as an amazing opportunity (it could be! ), my experience with these iPads has made me a proponent of BYOD policies. Because of FOIPPA restrictions, staffing shortages and union and district policy, the iPads spend most of the school year in the technician's office behind lock and key. My class' scheduled turn with the iPads went from 8 weeks to 4 weeks due to an unfortunate combination of the above. 4 weeks with iPads for K-2 students is barely enough time to get over the novelty and get into quality learning projects. To top off these frustrations, the apps which were installed for my class are limited by the district approval list, the school budget and the time of the technician. Despite the robust list of requested apps I submitted, only a small selection were installed. There are so many amazing apps to choose from and it is frustrating that they are not available to our learning community due to FOIPPA, district policy, union policy (which prevents anyone except the technician who works at 3 schools to install them) and budget restrictions. Like the SmartBoard slated for my classroom which sits in storage under the school stage, I'm wondering what is the point of having these iPads if we can't make use of their educational potential. It seems to me that our educational system is not designed to support learning with modern mobile devices. And yet almost all of my K-2 students use mobile devices to support their learning at home. Some have access to a family iPad, some have their own mini tablet (phablet) and some use their parents' phones to access apps. Parents often ask me to recommend apps that support the development of specific skills (reading, math, etc). *It should be noted that the program my students attend is a blended program: students learn at home 2 days a week and at school 3 days a week. A big part of my job, therefore, is to support parents in their facilitation of home learning. While some families see apps as the solution to the world's problems, I try to share my opinion that educational apps are one tool to support learning but that "the real magic rests in the hearts and minds of teachers who use digital tools to introduce students to new individuals, ideas and opportunities" (see photo below). With the intention of supporting parents support learning, I often recommend TeachThought as a place to go when searching for meaningful apps. Their lists are usually inspiring, up-to-date and well-vetted. My solution to my iPad woes is BYOD. While it discourages me to see teenagers glued to their phones during recess time, I think a new responsibility for educators is to teach digital citizenship: this includes digital literacy, device moderation (balance) and ways to use tech tools to inspire the real magic to which Ferriter refers (below). I need to look into the reality of this idea but right now I'm thinking that it would be best for our program to implement a BYOD policy. Considerations include a thorough parental consent form, app selection, insurance policy understanding in the case of damage and/or theft, equity and boundaries around device use. (As a solution to the equity question, I would suggest lending or selling (well below cost) our present school iPads to famillies who cannot afford one on their own.) One of the most important pieces to consider is teacher education around using tech tools. It is not enough to just have apps and devices available. Teachers need to learn how to use them effectively to support learning. Puppet Pals allows students to design, tell and produce a puppet show using a variety of characters and sets. They can also create their own characters and sets. Students move the characters and change the set while recording their own voices telling the story. The story can be saved to the camera roll and shared via YouTube, Vimeo or by uploading the mp4 to a personal webspace. Puppet Pals HD fits into the “creating” category of higher order thinking skills. Apps that fit this category encourage students to generate ideas, create design and follow through with production. When considering whether or not the app fits the “creating” category, Dianne Darrow suggests asking the following questions. Age Group: This app can be adapted to suit the learning needs of any age group. As a teacher I even used it to create a lesson which had the characters talking to each other about the concept I wanted my students to explore. Price: Puppet Pals HD can be purchased through iTunes here. The trial version is free and very limited with only 8 characters and 5 sets from which to choose. The Director’s Pass is $2.99 and adds at least 100 characters and 20 sets. It also allows users to take photos to create their own characters and backgrounds. The value of the Director’s Pass exceeds its price. Total Score/Rating: We chose not to use a points system for our app evaluation rubric. We felt that numbers would reduce all the possibilities for use. There is a time and place for all HOTS categories and would like for users to determine the usefulness of an app based on specific purpose, design, thinking skills and privacy concerns. See rubric below for more details. Retell information in own words? State problem in own words? Price: Free for trial version or $6.99 for full version. I recommend the full version. Overall Rating: This app is great for practicing and assessing letter/sound relationships. It helps to develop vocabulary but only for one work for each letter. The little monsters are engaging. It is a time-limited app in that it is only relevant to learners at the early primary level. While I've had access to mobile technologies for several years, mLearning is a new term for me. Mobile Learning. What does this mean to teachers, learners and to the process of education itself? How can I harness mobile technology to support learning? There's a lot of negative press about mobile devices and children - see for example Cris Rowan's February 2014 article Ten Reasons Why Handheld Devices Should be Banned for Children Under 12. Arguments such as these often come supported by a plethora of alarming research but fail to look at the other side of the discussion. Mobile technology is here to stay and children embrace it even when banned (often with even more tenacity). So what benefit is there to mLearning and mobile technology? I thought it would be useful to pass this idea through a filter. Because it seems to me to be a respected 21st century skill, I chose Digital Citizenship as a filter through which to pass the idea of mLearning. Terry Heick, of TeachThought.com, defines digital citizenship in his article of the same title. Digital citizenship is "the quality of habits, actions and consumption patterns that impact the ecology of digital content and communities." I appreciated the accompanying infographic as a tool which identifies these habits, actions and consumption patterns. As part of my learning about mLearning I took these actions, habits and consumptions patterns of digital citizenship and asked how mobile technologies might support, inspire and/or enhance them. Below the infographic you will find 3 columns. In the first column are actions, habits and consumption patterns which Mobile Technologies GREATLY support, inspire and/or enhance. In the second column are actions, habits and patterns which mobile tech SOMEWHAT support and the third column are actions, habits and patterns which mobile tech DO NOT support or are IRRELEVANT to. What I notice and value most profoundly about mobile technology and mLearning is that mobile devices allow learners to take the learning out of the classroom and make it part of their lives in diverse places and at diverse times. In the middle column I added "limit your time sitting". I struggled with this one as in some ways, most devices encourage sedentary habits. As I observed my learning actions, habits and patterns today, I would argue that my mobile device enabled me to do all the things in the left column while limiting my time sitting. I spent the day cross-country skiing with my mobile device in my pocket. I was able to check Google+ contributions as I caught my breath at the top of a hill (after taking a breath-taking photo, of course). I quickly re-read Heick's article while eating my lunch between skis so that while I was skiing, I could process my thinking about mLearning and mobile technology more deeply. While mobile technology keeps me connected to others while allowing me to have a fairly decent camera in my pocket at all times, it also allows me to extend and connect my learning no matter where I am or what day it is. This flexibility allows learners to be more successful digital citizens. Rowan, Cris. (Feb. 2014). Ten Reasons Why Handheld Devices Should be Banned for Children Under 12. 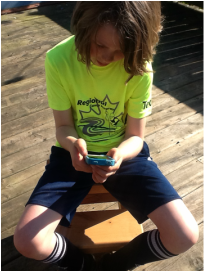 Moving to Learn: Exploring the Effects of Technology on Children.